I am grateful to have these happy customers! Here are some comments and photos from them. 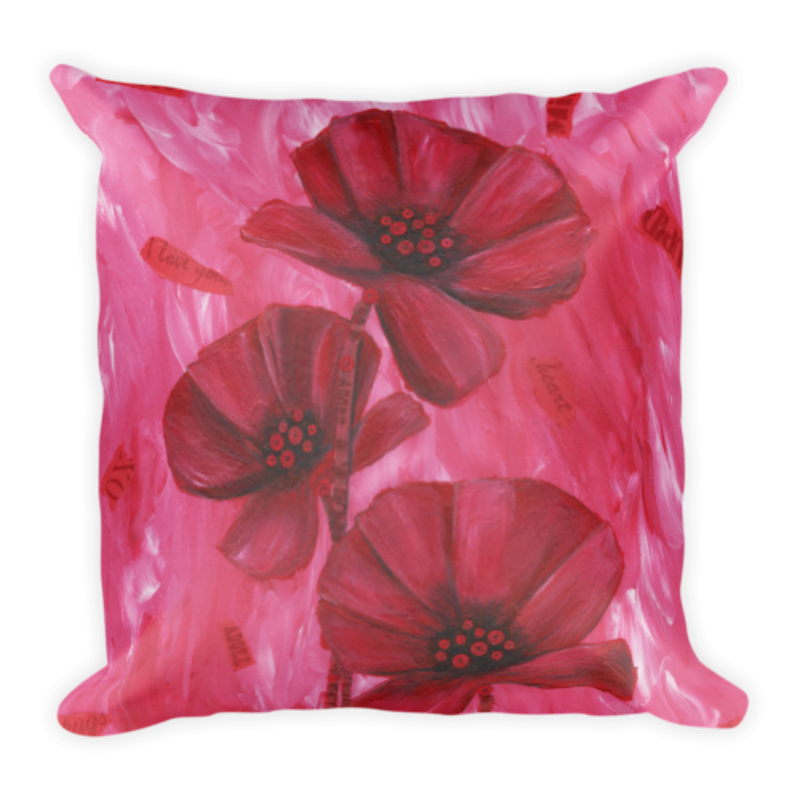 I'm honored to have an original by Mary Anne Hjelmfelt hanging in my home." 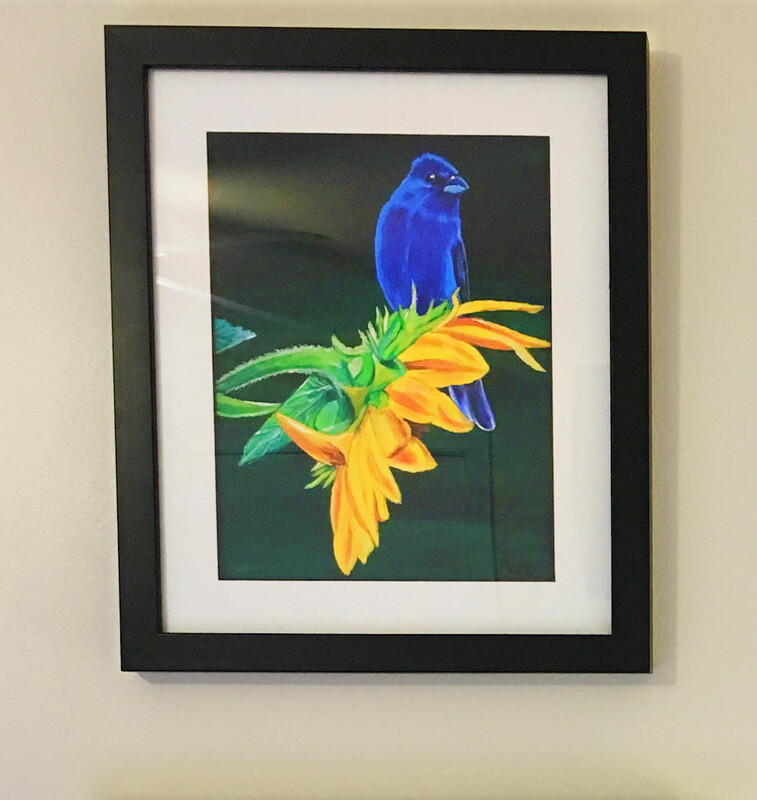 "Mare’s 'Indigo Bunting & Sunflower' painting captures one of my favorite birds on one of my favorite flowers! 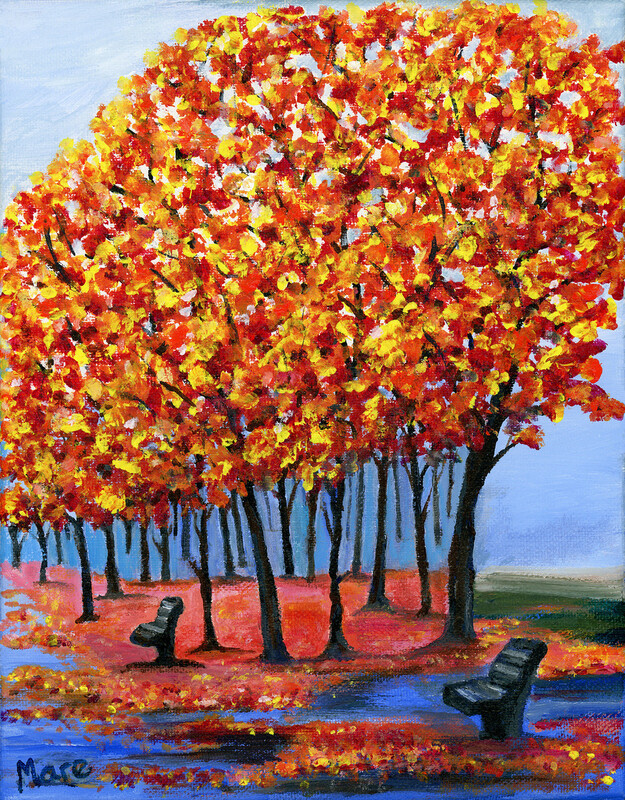 The colors are vibrant and the composition is just right! 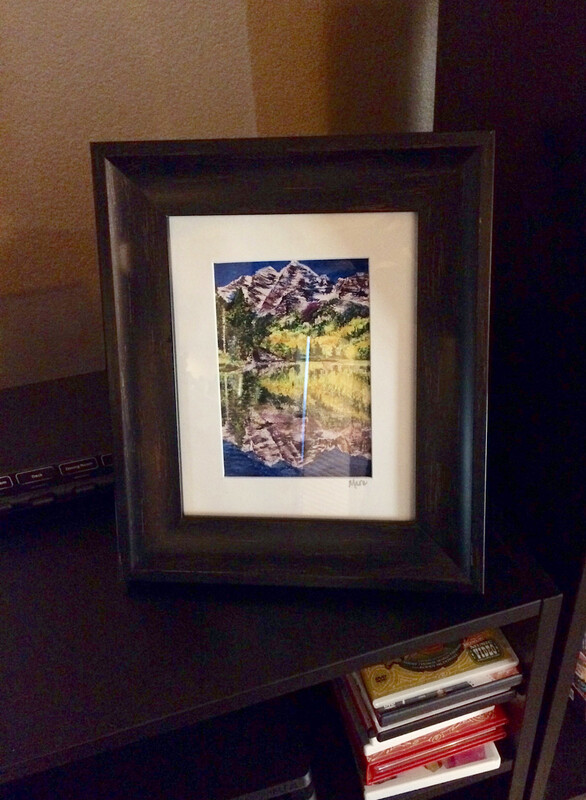 I am glad I picked out a frame on her website beforehand because all I had to do was unpack and hang it up upon arrival. 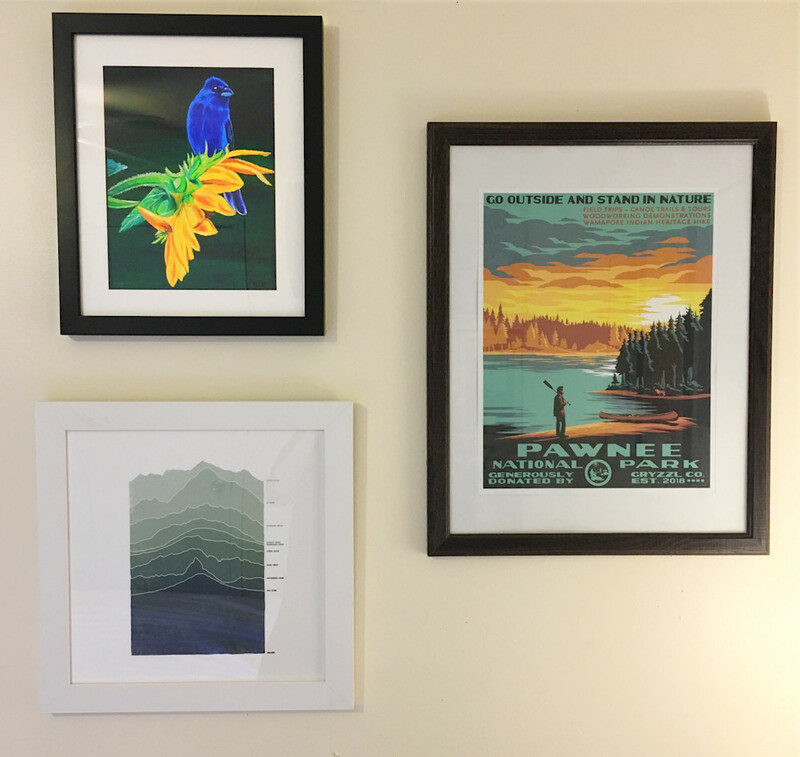 As a bonus, it goes perfectly with my nature themed wall in my bedroom!" 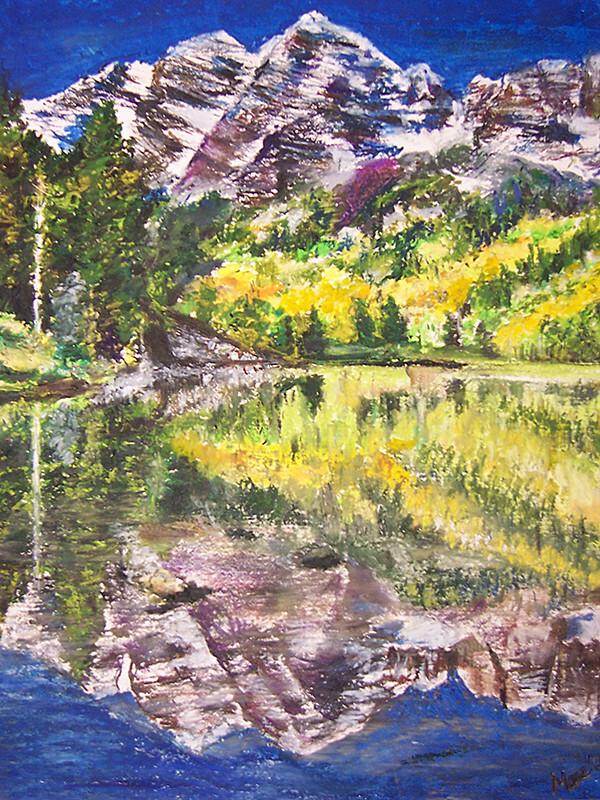 "This piece ("My Maroon Bells") drew me in instantly with its ability to conjure reflection. Mare captures the Maroon Bells in all of Autumn's glory. The brilliant colors reflecting off the water captivate me, taking me back to that moment I first saw them." "Mare's Art is part of my daily life because it brings me such joy! 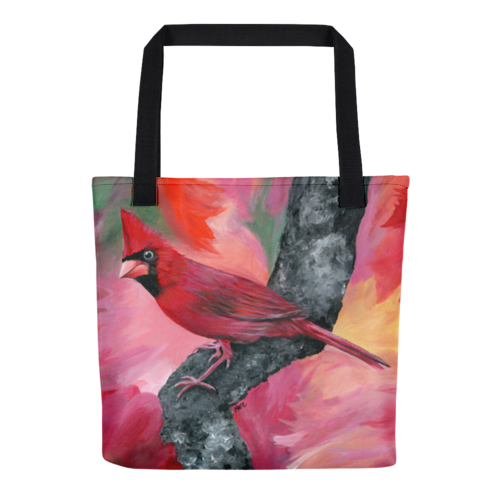 Whether it's a tote, card, coffee mug or pillow, not only do I enjoy the subject matter and use of colors but more so I have gifted her art to several friends and family members. It's amazing how one piece can really energize a space. Always looking forward to seeing what she comes up with next! Timeless pieces." 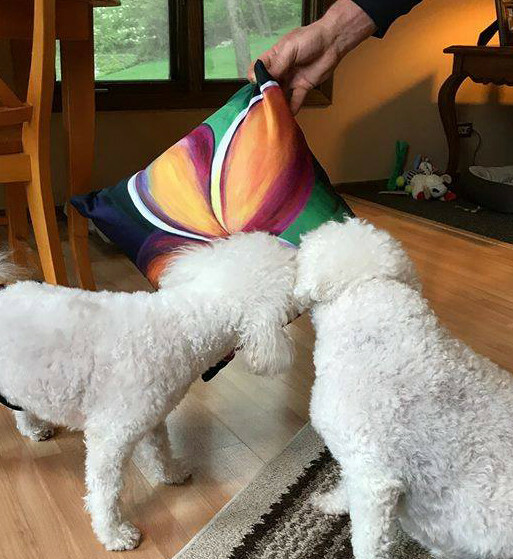 "I just want to let you know how much I love the pillow that was sent as a gift to me. It is so pretty and the colors blend with everything. I've attached a couple of pictures, one with my doggies who approve as well." 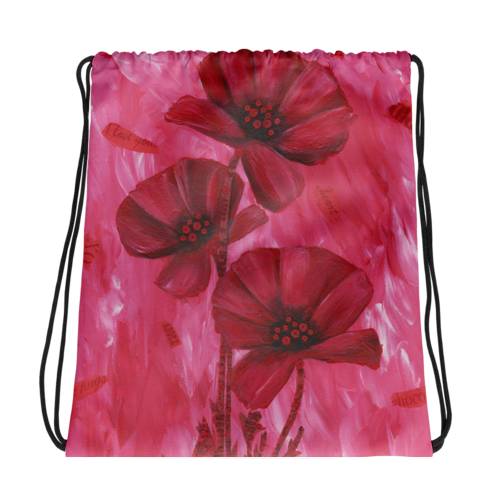 I got the 'Poppy Love' Drawstring bag, thank you! It looks great and is a nice heavy material to use for hiking. 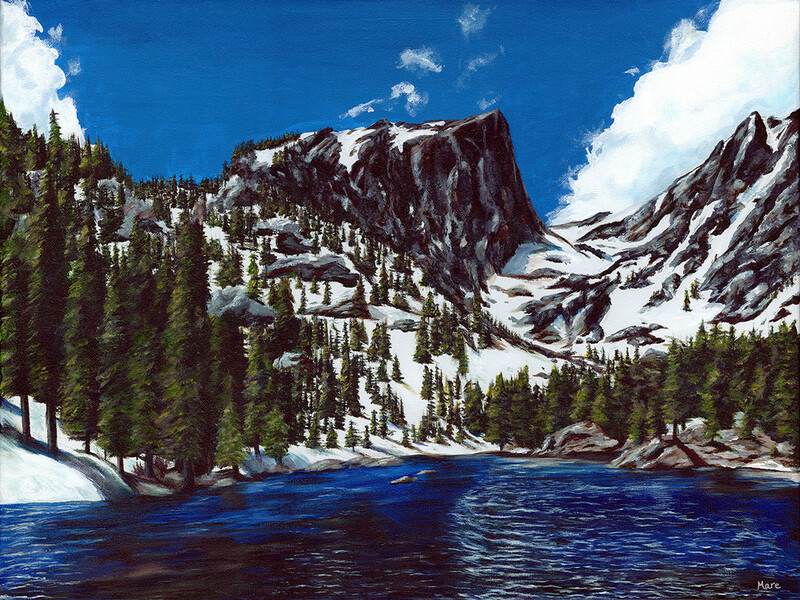 I love the beautiful "Dream Lake" painting so much and love looking at it everyday! It means so much to me. Even though I can't be out in Colorado right now, I feel like I have a piece of it with me. It's so pretty!! 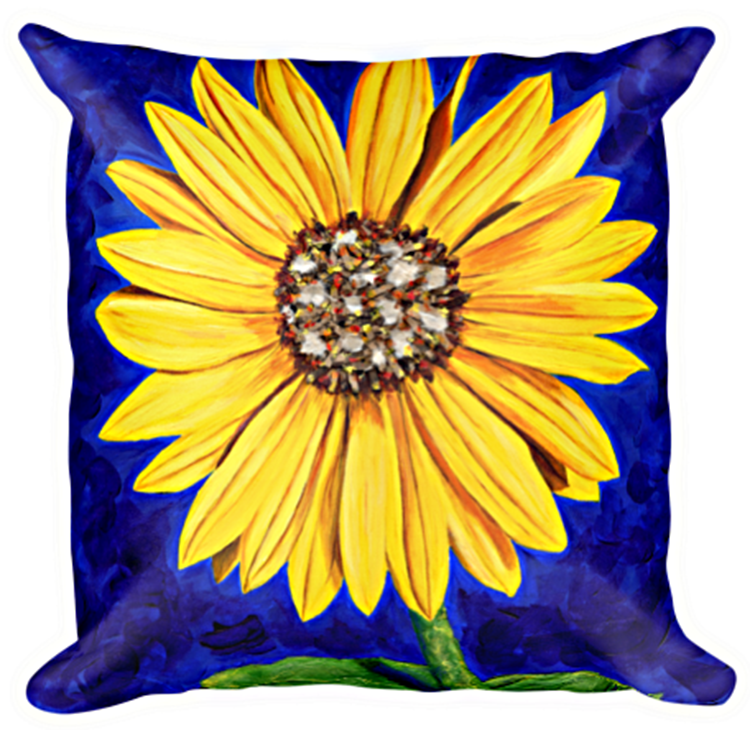 "Sassy Sunflower" 18x18 pillow. My cousin got her "Arizona Sunset" cards today too! She was so surprised and she loved them! 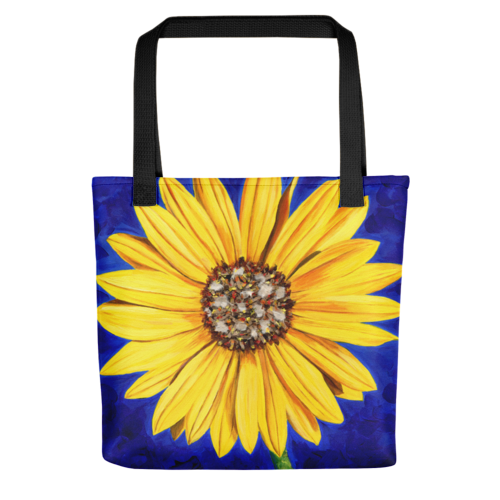 The "Sassy Sunflower" tote bag arrived on Tuesday and it is beautiful! 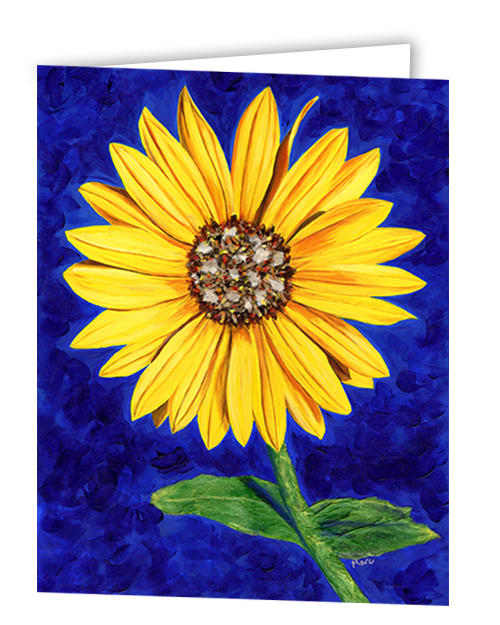 I purchased it as a Christmas gift for our niece as she loves sunflowers. I’m sure she will 😍 enjoy carrying it. Thank you again. You do beautiful work, and I wish you great success in your next showing. 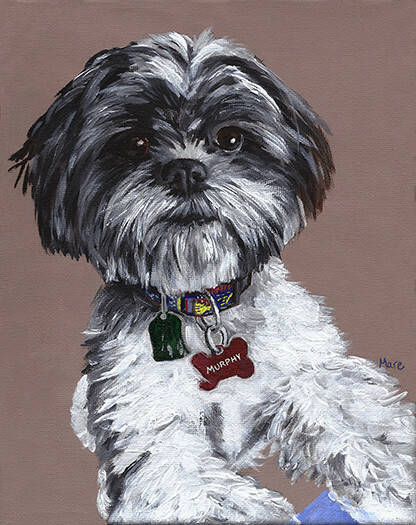 Thank you for the wonderful portrait you did of out beloved dog 'Murphy'. We felt a deep and long emotional loss after Murphy passed. You brought back our spirits and the joy we had experienced with Murphy through your rendering of the almost life-like painting of him. We have the painting sitting on our mantel at home and every time we gaze upon it we have warm memories of our much loved friend. Although you never met Murphy, your attention to detail not only captured his looks but also the essence of his curiosity and friskiness and love of people. Thank you again for giving us this lasting keepsake and much success in your future work. My 10 year old daughter and I love to take pictures of sunsets no matter where we are, especially at the beach. 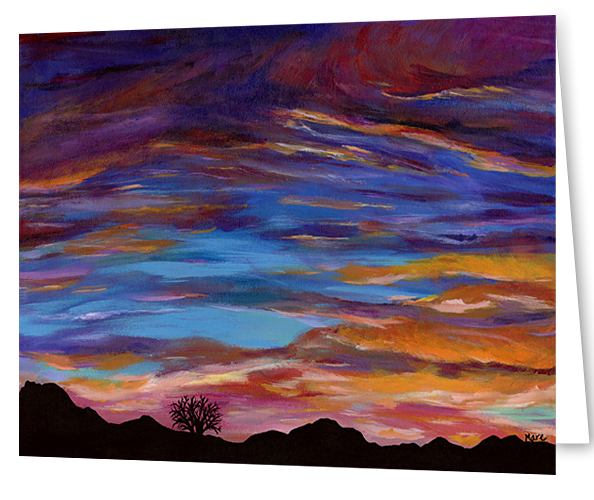 When she saw the "Arizona Sunset" image, she HAD to have it. She opted for the small tote bag which she uses almost every day, whether it is to carry books to school or clothes for a sleepover. Kids are hard on almost everything, but this bag is very well made, thankfully, and well worth the price. 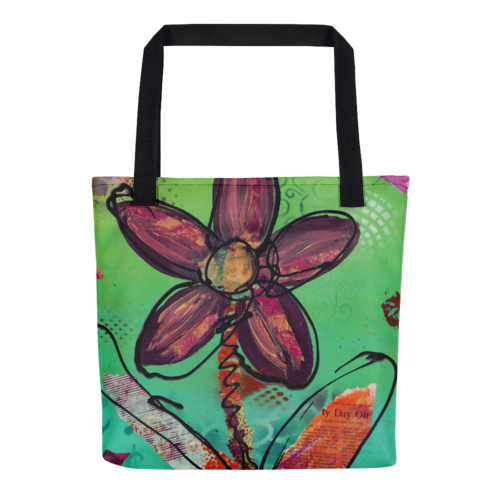 Since we did not choose an actual print for the wall, I was not sure how it would translate into a canvas tote. It looks great inside and out, and she LOVES it. 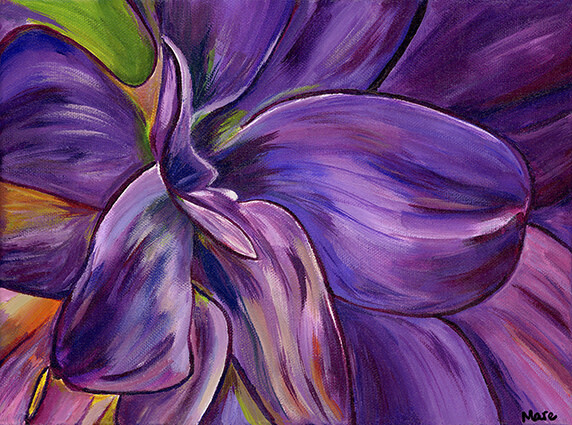 The "Playful Flower" image immediately spoke to me because of its vibrant colors and interesting overlay of patterns. 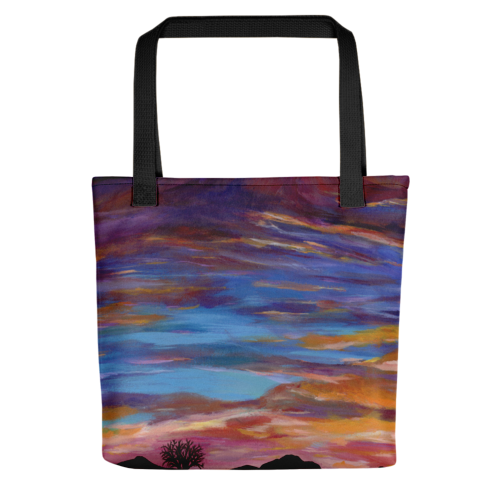 I knew I wanted this print in a large canvas tote to use as a beach bag, an overnight bag or to carry paperwork to school meetings. Wherever I take it, it has held up very well. From one side of the bag to the other, the print is even and well balanced. I always receive compliments on the pattern and it is such the conversation piece. Great purchase for a great price! Love it! Christmas shopping is right around the corner! 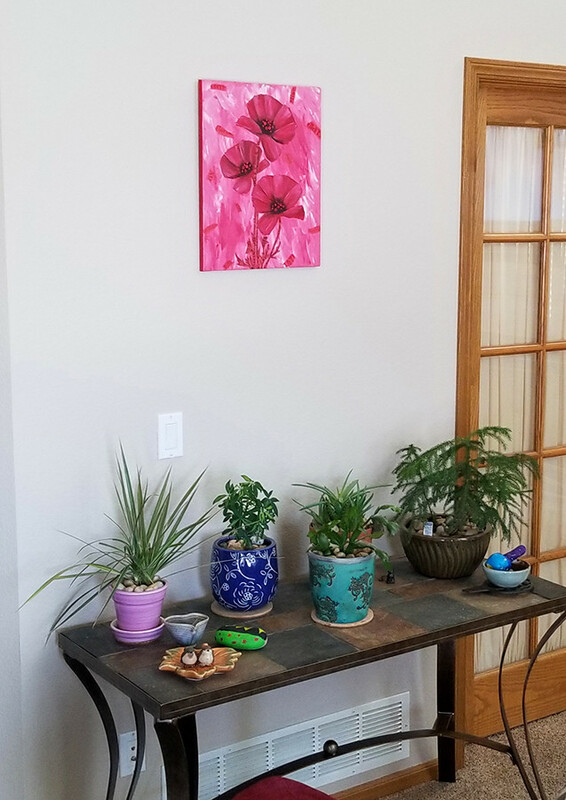 I was so thrilled by the absolutely beautiful 'Dear Dahlia' painting, it brightens up my whole bedroom. The artwork and the colors are just amazing! Your website is just wonderful too, and I always look forward to seeing your new works. Great job! Mary Anne, I don't even knkow where to start. 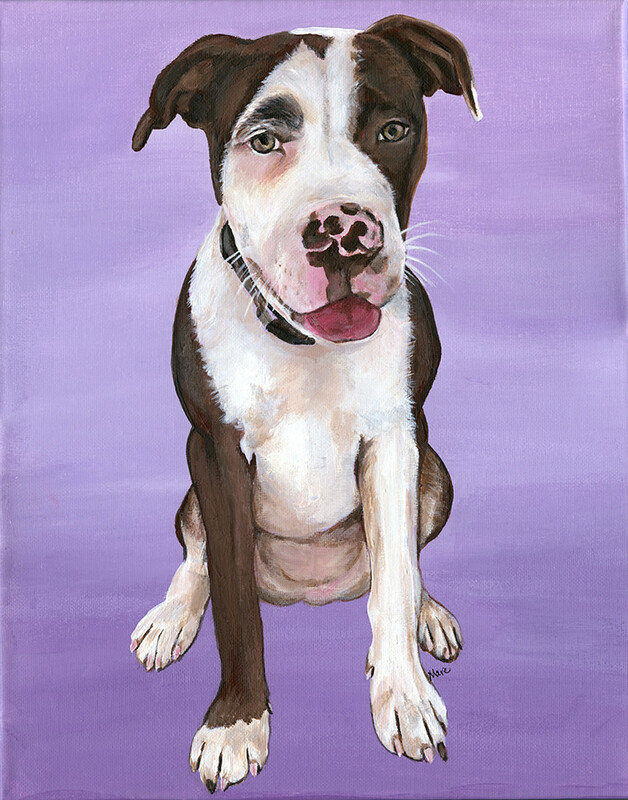 Thank you so much for painting the portrait of 'Shelby'. It captures her and is absolutely perfect. I am speechless. Thank you so so much! 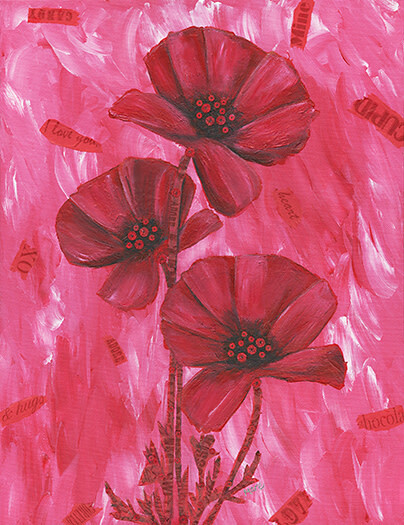 Big thanks to artist Mary Anne Hjelmfelt! 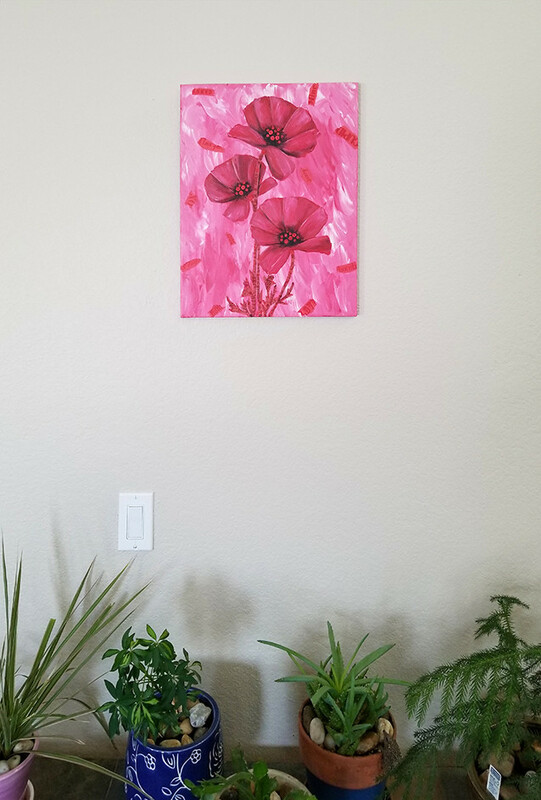 I was looking for a colorful painting to brighten up an unused wall in my bedroom. 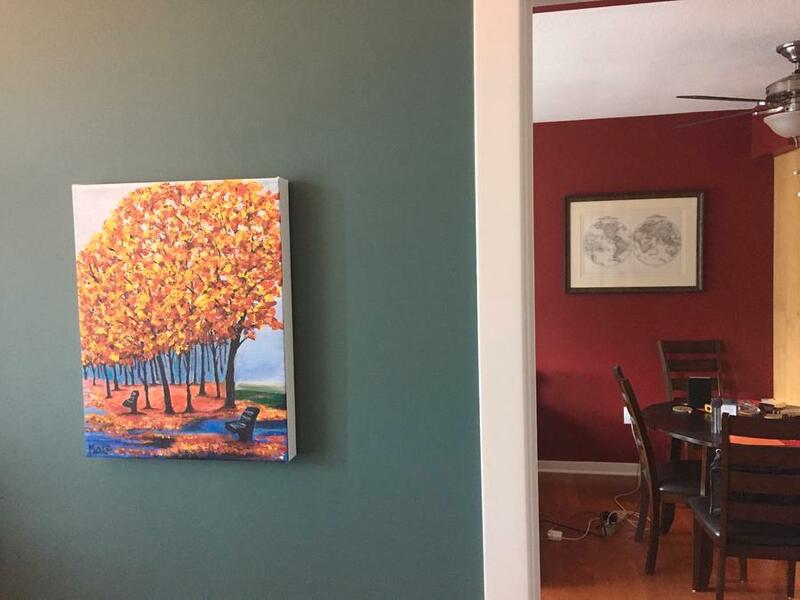 The "Fall Painted Path" painting lights up the room and also ties the bedroom to my living room which has similar reds and light colors. 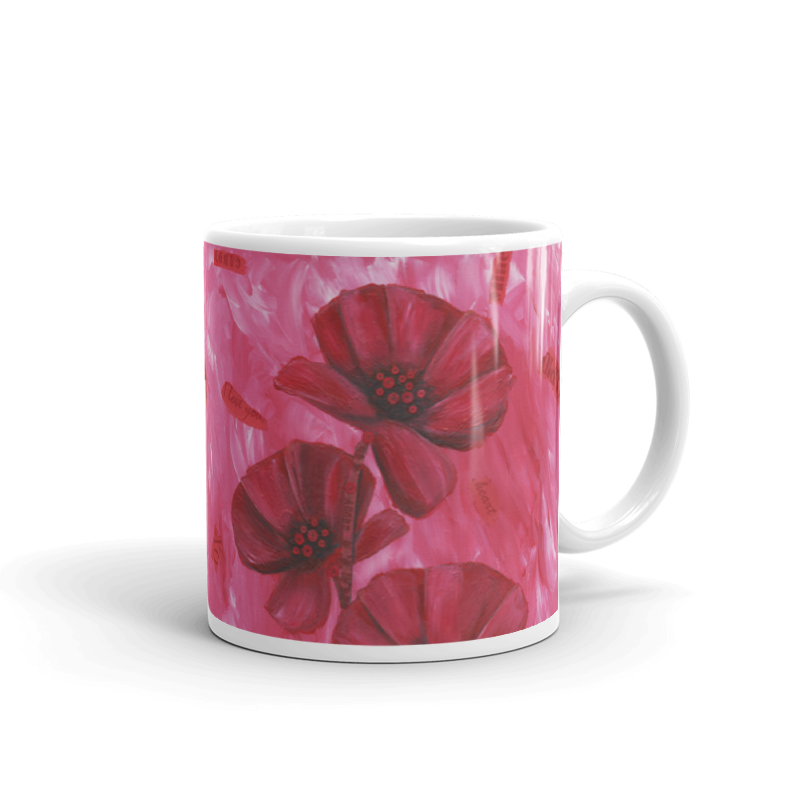 I chose the matte finish with white gallery wrap. The white sides help it stand out from the green wall and adds depth. Thanks again, I will be watching the site for new pieces. 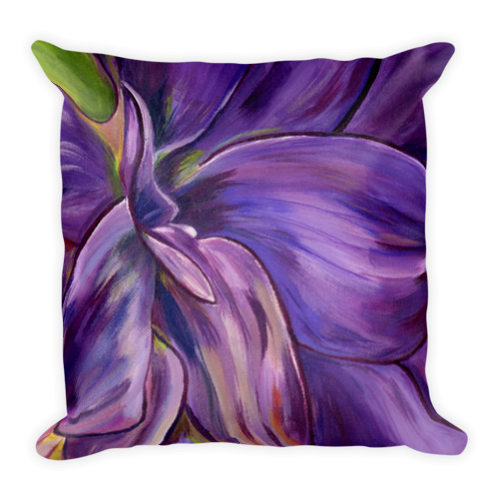 I purchased two "Dear Dahlia" throw pillows and I was impressed with not only the quality of the image, but the quality of the product itself! 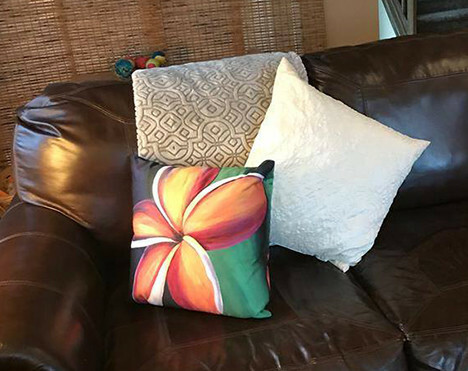 The colors are vibrant and add a nice touch to my living room couch. I love them. 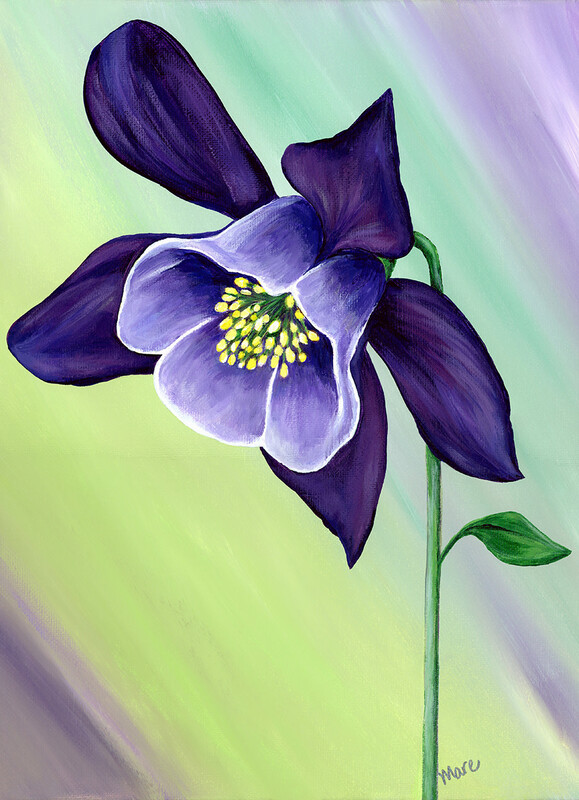 I've since ordered a poster of the "Graceful Columbine" image to add color to my office. Thanks Mare!